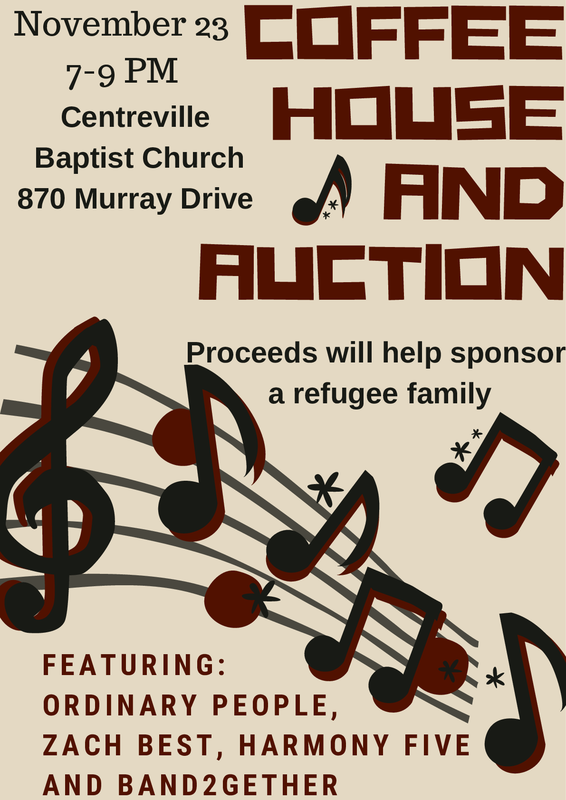 Coffee House and Auction featuring music by Ordinary People, Zach Best, Harmony Five and Band2gether. Auction items include cakes and items from local businesses. 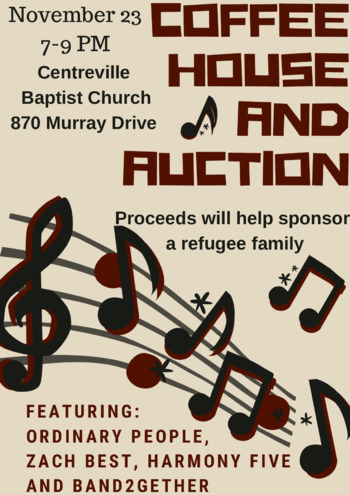 Monies raised will help sponsor a refugee family.